Oh, you’re just head-over-heels in love with Spanish, aren’t you? Hearing the lyrics of a Spanish song sends chills up your spine. Even just walking past those Spanish brands at the supermarket gives you the tingles. So, you promised yourself to learn this seductive language at any cost. Time has passed and you’re now deep into your learning. You’ve listened to the audiobooks, surfed the YouTube channels and interacted with native speakers at every possible opportunity. And you’ve only got a hundred Spanish verbs to show for it. Well, read on because you’re about to get into the exciting world of telenovelas. What Do Telenovelas Have to Offer? Telenovelas, for the uninitiated, are Spanish soap operas—only much shorter, and with lots more facial hair. They deal with the roller coaster ride of life, and staple subjects include family, marriage, politics and business. The themes often revolve around the 4 R’s: romance, revenge, redemption and rivalry. Before you get started, let me give you a quick hint. With telenovelas, anything is possible—the dead come back to life, a long-lost evil twin suddenly appears and anybody can get amnesia. Even star-crossed lovers can turn out to be brother and sister. 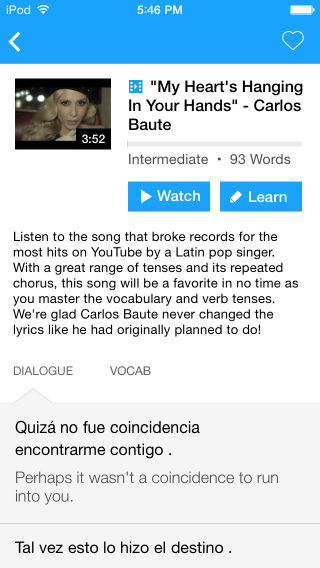 In terms of learning Spanish, there’s nothing more effective, more engaging and more culturally nuanced. 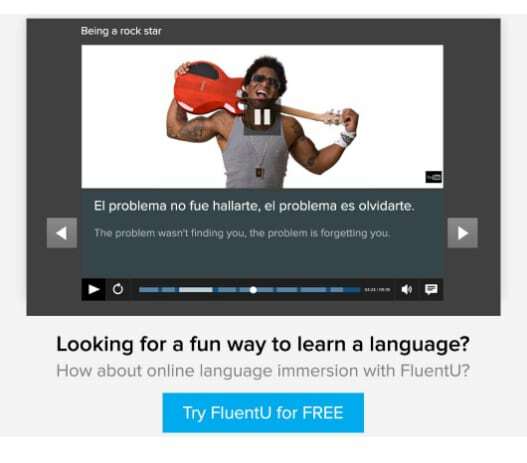 So…looking to make your Spanish lessons come alive? Look no further. Here are 6 telenovelas that are your tickets to learning Spanish. Not ready to tackle entire series? Want to ease your way into these shows? No problem! We’ve got you covered. 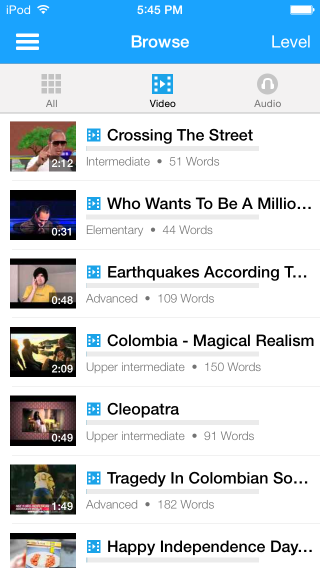 If you love learning with videos, you’ll love FluentU. 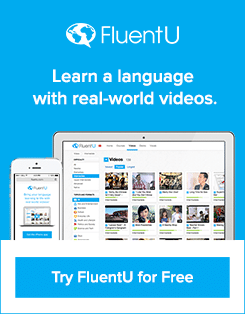 Start using FluentU for free on the website with your computer or tablet or, better yet, download the FluentU app from the iTunes or Google Play store for iOS and Android devices. Now that you’re ready for the big leagues, let’s get some dramatic learning underway! Aired in 180 countries, this is one of the most popular telenovelas to hit the TV screen. Starring the effervescent Thalia (of “Marimar,” “Maria Mercedes” and “Rosalinda” fame), the show tells the story of a young, impulsive scavenger who’s welcomed inside the mansion of a wealthy family and promptly falls in love with one of the sons (Fernando Colunga as Luis Fernando) of her benefactor. But with any Thalia show, or any telenovela for that matter, love never comes easy for two star-crossed lovers. A scheming, back-stabbing and really crazy Soraya, is just around the corner to foil any attempts at happiness made by our favorite duo. Remember what I said about telenovelas? Anything is possible. “Maria la del Barrio” just takes the cake featuring faked deaths, staged pregnancies, mistaken identities, sly gossip, stints in prison and the asylum, rags-to-riches-to-rags-again plot twists, amnesia, adoption and brother and sister dating. With “Maria la del Barrio,” you’re not only learning the language, but you’re learning it in the context and force of passion, of despair, of revenge and of hope. You’ll get to understand why they say that Spanish is passion put into words. Demetrio, returning from a stint in Europe, comes home to his family’s tequila plantation in Mexico where he discovers that his brother, Ricardo, has committed suicide. Among his brother’s possessions he finds a letter from a mysterious woman detailing how she never really loved Ricardo and that she’s getting married to someone else, how she aborted their child and how she spent all his money—and realizes that she was the cause of his death. In addition to the letter, he also finds a V-shaped broach which he thinks belongs to the very woman who drove his brother to end his life. From that very moment, Demetrio resolved to avenge his brother’s death. Virginia is kind-hearted and innocent, while Veronica is confident and somewhat sneaky. Through a series of incidents, Demetrio is led to believe that it’s Veronica that he’s been looking for. He then puts into motion plans for making her life extra-miserable, avenging his brother’s death. Demetrio is successful and exacts revenge for his brother. THE END. Whoa, wait a minute! You don’t think it’ll be that easy, do you? I mean, haven’t you seen any soap operas before? It stars Claudia Ramirez as Yulissa Torres-Quintero—a beautiful and innocent young lady forced to marry a rich landowner because of her family’s debts. On the day of their wedding, Ignacio Aguirre, the rich husband, suffers an accident which leaves him unable to consummate the marriage. His sorry condition leaves him a bitter and hard man. This story wouldn’t be complete without a handsome doctor to complete the love triangle. Doctor Luis Angel Zaldivar, a renowned physician, goes on a house call that will change his life forever. The first time he saw Claudia, sparks almost engulf the room. Claudia is only too helpless from falling in love with the dashing doctor. The two get into an amorous relationship which results in a pregnancy. What fate awaits Claudia and her baby? Why don’t we ask Ignacio Aguirre and his mustache—which has a starring role in almost all of his scenes. You up for some Argentine teen telenovela time? I give you “Rebelde Way”—a story about the lives of teenagers hailing from Argentina’s wealthiest families. The setting is the Elite Way School, a private boarding school that is witness to the youthful delinquencies of Marizza, Mia, Pablo and Manuel. And would you believe it, there is actually a band called Erreway whose members are the very same actors and actresses in the telenovela. In fact, the actual band has released several platinum records and has toured Latin America, Europe and Israel. Don’t be too swayed by the telenovela’s charismatic and highly relatable characters. 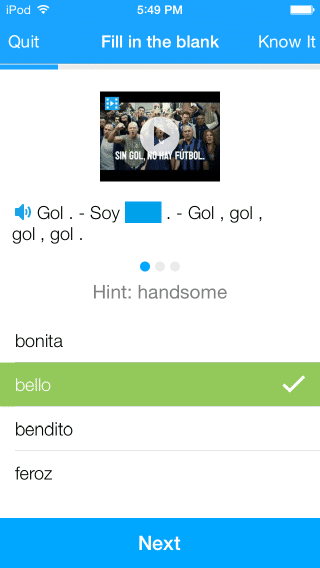 Remember, you are doing this for learning language and be on the lookout for Spanish language cognates. “Corazon salvaje” won Best Telenovela of the Year in 1994. It’s the story of gruff Juan del Diablo who grew up fatherless on the beaches of San Pedro. He’s actually the love child of wealthy landowner Francisco Alcazar. As is the tradition of telenovelas, this is a journey of romance and rivalries, of deception and broken promises. But I included this show on the list not for these. “Corazon salvaje” is set in the 1900s. As such, the characters speak in a kind of Spanish reminiscent of that era. The language is slightly elevated, subtly majestic. Though their costumes might prove a little bit distracting, once you get over it, “Corazon salvaje” will be good practice for language learners who aim for a deeper mastery of Spanish. Let’s say you’re a very rich rancher and you want to know if a woman married you for love or for money. What would you do? You’ll pose as a poor workman, right? If she still loves you in spite of that, then you know she’s not interested in the cha-ching. When he discovers that Catalina only married him to be in the lap of luxury, he plots revenge by refusing to divorce her and making her live in daily poverty. Unfortunately or fortunately, through their interactions as husband and wife, Catalina starts to have real feelings for him. But this time, it’s Sebastian who wants a divorce. Things get worse when Carmelo, the man Sebastian trusted to take his stead and play “heir,” refuses to let go of his role and wants to keep the ranch and the money for himself. Carmelo, who has fallen in love with the beautiful Catalina, will only let go of all the money if she agrees to marry him. (How about that, huh?) Will she do it for the man that she loves? 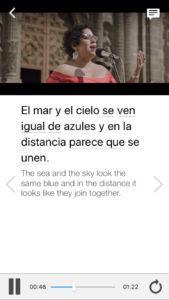 And that, my friends, is learning Spanish through telenovelas. It’s an exciting, engaging and addicting venture. You’ll spend countless hours reading subtitles, listening to pronunciations and hunting for words rambled carelessly by native speakers. But if you’re lucky, you’ll learn not only the language and the culture—you’ll learn a little something about love, and little something about life.